Miguel Angel Diaz...his all-time favorite baseball player is Pedro Martinez...signed by Brewers' scout Fernando Arango. Split the season between San Antonio (AA), El Paso (AAA) and SD…went 1-0 with a 4.82 ERA (10 ER, 18.2 IP) in 11 relief appearances with the Padres...Began the season with SA and was transferred to ELP on 5/18...Assigned to SA on 6/13 before being recalled by SD on 7/8… optioned the next day to SA before being recalled by SD on 8/17, remaining with the big-league club for the rest of the season...Went 5-2 with a 2.35 ERA (17 ER, 65.0 IP) in his 19 appearances (nine starts) for the Missions…limited the opposition to a .195 average while also converting his two save opportunities...Posted an 0-3 record with an 8.10 ERA (12 ER, 13.1 IP) and a .304 opponent average in his five appearances (two starts) for ELP...In his season debut with SD on 7/8 at ARI, struck out five in his 2.0 IP…Craig Stammen also struck out five in his 2.0 IP on 7/15 at CHC...the last Padre to strike out at least five in 2.0 IP-or-less was Tyson Ross in 2013 on 6/9 at SF (1.2 IP)...Allowed at least one run in his next six relief appearances for SD from 8/17-9/7, posting a 7.36 ERA (9 ER, 11.0 IP) and a .289 opponent average... Allowed just two hits and one run across his final four outings from 9/15-28, owning a 1.59 ERA (1 ER, 5.2 IP) and a .111 opponent average.. Earned his second big league win on 9/26 at SF, tossing 2.0 IP of hitless ball in SD's 3-2 victory...Posted a 3.55 road ERA (5 ER, 12.2 IP) compared to a 7.50 mark (5 ER, 6.0 IP) at home...Limited lefties to a .188 (6-for-32) average while righties hit .256 (10-for-39)...Limited leadoff hitters to a .125 clip (2-for-16)...Opponents hit .188 (6-for-32) against him with runners on base, .143 (3-for-21) with RISP and .077 (1-for-13) with RISP/2 out...Relied on five pitches: four-seamer (53.6%), slider (23.9%), changeup (20.5%), sinker (1.7%) and curve (0.3%). 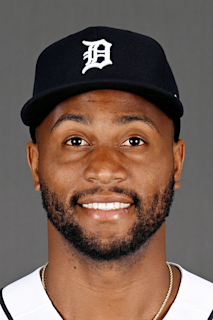 Acquired by SD in the 2016 Rule 5 Draft and spent the entire season on the Padres Major League roster, appearing in 31 games (three starts)...Selected by MIN from MIL first overall in the Major League Phase of the 2016 Rule 5 Draft and then acquired by SD from MIN in exchange for RHP Justin Haley and cash on 12/8/16...Made his MLB debut on 4/3 at LAD, tossing 1.1 perfect innings in relief with one strikeout...On the season, posted a 1-1 record with a 7.34 ERA (34 ER, 41.2 IP) with 33-to-25 SO/BB ratio...Did not allow a baserunner through his first four games to begin his MLB career, tied for the longest such streak in the majors since data was recorded in 1913...Earned his first ML win on 4/10 at COL...Made his first career start on 6/10 vs. KC, tossing 2.0 IP with one hit, three walks and one strikeout...Diaz made two additional starts on the season on 6/16 at MIL and 6/21 at CHC...Placed on the 10-day DL on 6/23 with a strained right forearm and was transferred to the 60-day DL on 8/26...Sent on a rehab assignment to the AZL Padres (R) on 8/15 and Lake Elsinore (A) on 8/20 before being reinstated on 8/29...his first appearance back from the DL came on 9/5 vs. STL...Following the season, made four relief appearances for Toros del Este of the Dominican Winter League and posted a 7.71 ERA (2 ER, 2.1 IP). Made 26 appearances, 15 starts, for Single- A Wisconsin of the Brewers' system, going 1-8 with a 3.71 ERA (39 ER, 94.2 IP) and 91 strikeouts against 29 walks while limiting opposing hitters to a .226 (83-for-368) average...In his 15 starts, went 1-6 with a 3.31 ERA (24 ER, 65.1 IP) and 61 strikeouts against 16 walks while limiting the opposition to a .203 (51-for-251) average...Tossed a season-high 6.1 innings of two-run ball on 6/3 vs. Kane County, striking out eight and walking one. Made 13 appearances (five starts) for the AZL Brewers (R), going 4-2 with a 4.21 ERA (22 ER, 47.0 IP) and 53 SO against 20 BB. Made 11 appearances (nine starts) for the DSL Brewers (R), going 3-2 with a 2.40 ERA (13 ER, 48.2 IP)...Tossed a career-high tying 7.0 innings on two occasions...allowed no runs on just three hits and two walks while striking out five on 7/18 vs. the DSL Jays...allowed two runs on two hits and one walk while striking out three on 8/8 vs. the DSL Yankees. Made his professional debut for the DSL Brewers (R), making 15 relief appearances and one start with a 4.62 ERA (13 ER, 25.1 IP)...Allowed just one run and four hits over his first six relief outings, posting a 1.00 ERA (1 ER, 9.0 IP). March 27, 2019 San Diego Padres placed RHP Miguel Diaz on the 10-day injured list. Torn meniscus. January 25, 2019 San Diego Padres activated RHP Miguel Diaz. October 1, 2018 RHP Miguel Diaz assigned to Peoria Javelinas. August 17, 2018 San Diego Padres recalled RHP Miguel Diaz from San Antonio Missions. July 9, 2018 San Diego Padres optioned RHP Miguel Diaz to San Antonio Missions. July 8, 2018 San Diego Padres recalled Miguel Diaz from San Antonio Missions. June 13, 2018 RHP Miguel Diaz assigned to San Antonio Missions from El Paso Chihuahuas. May 18, 2018 RHP Miguel Diaz assigned to El Paso Chihuahuas from San Antonio Missions. March 29, 2018 RHP Miguel Diaz assigned to San Antonio Missions from El Paso Chihuahuas. February 28, 2018 San Diego Padres optioned RHP Miguel Diaz to El Paso Chihuahuas. November 6, 2017 RHP Miguel Diaz assigned to Toros del Este. August 29, 2017 Miguel Diaz roster status changed by San Diego Padres. August 26, 2017 San Diego Padres transferred RHP Miguel Diaz from the 10-day disabled list to the 60-day disabled list. Strained right forearm. August 20, 2017 San Diego Padres sent RHP Miguel Diaz on a rehab assignment to Lake Elsinore Storm. August 15, 2017 San Diego Padres sent RHP Miguel Diaz on a rehab assignment to AZL Padres. June 23, 2017 San Diego Padres placed RHP Miguel Diaz on the 10-day disabled list retroactive to June 22, 2017. Strained right forearm. December 8, 2016 Minnesota Twins claimed RHP Miguel Diaz off waivers from Milwaukee Brewers. December 8, 2016 San Diego Padres traded RHP Justin Haley to Minnesota Twins for RHP Miguel Diaz. August 14, 2016 Wisconsin Timber Rattlers activated RHP Miguel Diaz from the 7-day disabled list. August 6, 2016 Wisconsin Timber Rattlers placed RHP Miguel Diaz on the 7-day disabled list retroactive to August 4, 2016. April 4, 2016 RHP Miguel Diaz assigned to Wisconsin Timber Rattlers from AZL Brewers. August 30, 2015 AZL Brewers activated RHP Miguel Diaz from the 7-day disabled list. June 20, 2015 AZL Brewers placed RHP Miguel Diaz on the 7-day disabled list. June 20, 2014 RHP Miguel Diaz assigned to AZL Brewers. June 2, 2012 RHP Miguel Diaz assigned to DSL Brewers. December 1, 2011 Milwaukee Brewers signed free agent RHP Miguel Diaz to a minor league contract.